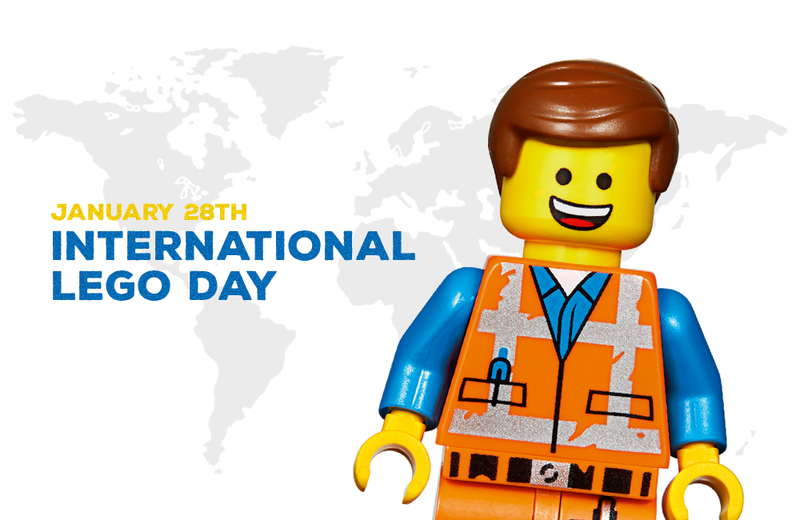 It’s International LEGO Day, celebrating the birthday of the classic LEGO brick. The patent for the 2×4 brick was signed on January 28, 1958. Since then, the LEGO system has become one of the most sophisticated playthings on the planet, while the brand has evolved to be synonymous with quality playtime. The original LEGO sets were not intended for, nor marketed to, any specific gender. They contained multi-coloured bricks in often generic boxes. Even the vehicle sets and homemaker sets were not marketed as to being aimed at one gender or another; the boxes were designed in neither blue nor pink. Subsequent years saw greater gender segregation, with certain play themes intended for boys and others for girls. After a strong reaction to the introduction of LEGO Friends, the LEGO Group now avoids specifying which toys are for which gender. Even the most basic LEGO bricks are educational tools, teaching children spatial understanding and ideas relating to architecture. Beyond that, LEGO Technic teaches concepts that underpin engineering, with complex models that demonstrate how things work. For the last 25 years, the LEGO Group has run the annual First LEGO League competition, a program that engages schoolchildren with programming and robotics. Working in teams, children come up with technology-based solutions using the special LEGO Mindstorms coding kit, then compete in national and international tournaments to see who will become that year’s winning team. Many of us have fond memories of visiting grandparents who would pull out a box of old LEGO bricks to keep the kids occupied. The LEGO bricks of the 1960s are compatible with those released today – the fundamental system hasn’t been altered, and the bricks are made to be durable and long-lasting. The LEGO Group knows that longevity is vital to consumers. As the company begins to introduce elements made from bioplastics, The LEGO Group has been keen to stress that the more environmentally friendly pieces are just as durable as ever. While there are few things more therapeutic than sitting quietly and clipping LEGO bricks together with the satisfying snap of clutch power, LEGO bricks also offer opportunities for group play. Children can get together, share, and helping one another create. Recent LEGO sets often include multiple instruction manuals, so everyone can grab one and start building. Adult fans of LEGO (AFOLs) combine their creativity at group meet-ups where they pool their individual skills to plan huge, expansive layouts together. These impressive dioramas are displayed at public events where they inspire the imagination of the next generation. Increasingly, LEGO pieces are used creatively around the world. Talented fans of the brick create beautiful models that far surpass anything that can be released as a boxed set with instructions. The most innovative of these creations have evolved into an art form, with respected artists such as Ai Weiwei using LEGO pieces as a medium in their work. Nathan Sawaya – one of the few LEGO Certified Professionals – prefers LEGO over marble, as he feels it allows the audience to connect with his art on a deeper level. Designed by Marvin Glass & Associates and released by Schaper in 1970, the Moon Blast Off game is set on the moon's surface, and players race to return their astronauts to Earth.